Eric and I have been doing the final clean-up and the first of the spring tilling. Admittedly, and this is coming from a hard-working Kiwi, the work is tough on the body. Eric in the boxing ring with a 300 lb alligator, his arms and body dragged along as the rototiller bounces on the root matted winter grasses, he’s then flung into some fluffy realty to only be dragged off again hanging on for dear life. And then there’s the task of rounding up the last of the 300 tomato cages; a walking marathon, carrying 6 at a time, back and forward. Every rock and stone marked, I am zenned out to the feel and sounds surrounding the human created ecosystem. Beyond the fence, trees glowing new leaf shoots of greenery in every possible hue. A backdrop so alive that the farm with it’s formidable plastic deer fencing reflects out in a promising hope of greenery itself. If you’ve ever grown a garden, and I hope that you do, you’ll know too well that you can’t start without finishing up. And that the curvature of the environment is no straight line but that it weaves about in a cyclical spiral. The seasonal rhythm is a timing that is governed not by our clocks or our lineal minds, but by the seasonal shifts and more closely by the weather. If ever you need to experience a different kind of realty, one that is shaped by these terrific forces, then gardening would be the task to pick. As one engages in these seasonal rhythms, then one can get in touch with deep time that goes beyond our everyday scheduled lifestyle and approaches something closer to what humans practicing agriculture 10,000 years ago experienced. The work of breaking down and building up, finishing and starting is cyclical to our intuition, and every year of working in this way we get a little better at getting the timing just right; our sense of observation is keener. The garden gives us a portal from which we can glimpse into a world that is wholly governed by nature as it strives to connect us to the process, putting seeds in our hands, giving us knowledge of plant, soil health and treating us to a reflection of ourselves glowing back at us. To find ourselves again on this threshold of ending and beginning, coinciding with Spring and it’s greenness, is to grasp at what it means to be alive, to have hope and renewed joy in the world. The gift we are showing the world is the unfolding of the story of the garden from the hummus to the humans, from the earthworms to the hummingbirds, from the ancient seed to the table. A gift that is a co-creation of the forces of nature, the human intention and our dedication to being in deep time with our surroundings in such a way that we are harnessed to the task by our own impulse to be part of the great spiral of life. Here’s a great recipe for the changing of seasons, borrowed from Iowa Girl Eats. Render the bacon until crispy in a Dutch oven over medium-high heat. Remove and set aside on a paper towel-lined plate. Add the onions and bell pepper to the pot and sprinkle with salt. Stir to combine and saute until translucent, about 5 minutes. Add the kale and red pepper flakes and toss to combine. Allow the kale to wilt, about 2 minutes. Turn off the heat and toss in the apple cider vinegar. Taste and adjust the seasoning with salt and pepper. Make ahead: Up to 1 day, covered and chilled. Heat oven to 350°. Set a rack over a rimmed baking sheet. Lay prosciutto on rack and bake until crisp, 8 to 10 minutes. Watch carefully. Let cool, then break into shards and chips. Shave off ribbons of cantaloupe onto a large serving platter, using a vegetable peeler, mandoline, or very sharp knife (really! Sharpen your knives folks!). Sprinkle prosciutto and mint over melon shavings. Drizzle oil very lightly over salad. Recipes are from Sunset (my favorite west coast magazine) and Epicurious. Mix 6 tablespoons softened butter, 1 tablespoon lime juice, 2 teaspoons of honey, 1 teaspoon chili powder and a dash of cayenne pepper in a small bowl. Slather on hot corn on the cob, then sprinkle on some salt and give it an extra spritz of lime. Mash together 4 tablespoons softened butter with 4 tablespoons crumbled blue cheese. Stir in 2 tablespoons finely chopped chives and 1/2 teaspoon ground black pepper. Spread on hot corn on the cob. 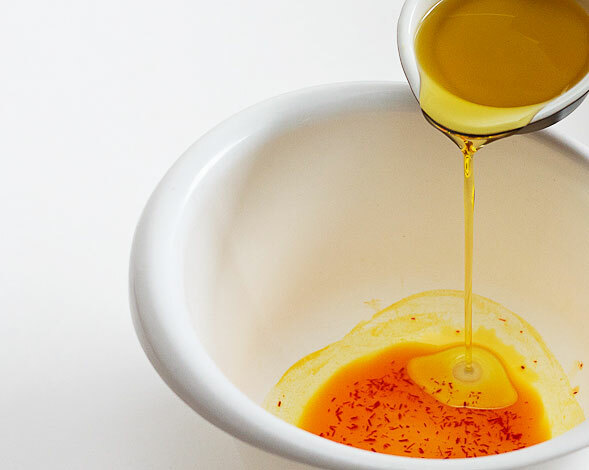 In a small bowl, whisk together 1 tablespoon Dijon mustard, 3 tablespoons red wine vinegar, a hefty pinch of salt and black pepper, 3 tablespoons olive oil and 2 tablespoons chopped fresh thyme. Drizzle over the corn. Finely crumble 1/2 cup smoked feta cheese. Mix in 2 tablespoons finely chopped pickled jalapeno peppers. Coat each hot ear of corn with butter, then roll in the cheese and pepper mixture. 1 1/2 tablespoons hot sauce, 4 large garlic cloves (minced), 2 tablespoons minced peeled ginger, and 1 teaspoon salt and briskly simmer, uncovered, stirring occasionally, until thickened and reduced to about 1 1/4 cups, 25 to 30 minutes. (Stir frequently toward end of cooking to prevent sticking.) This is an excellent BBQ sauce, but keep going with the corn on the cob recipe by brushing the mixture onto the cobs just 1 or 2 minutes before they’re done on the grill. Oil the grill beforehand and it shouldn’t stick. Whisk together 1 tablespoon water and 2 tablespoons molasses. Using a pastry brush, lightly coat 4 ears of corn with the molasses mixture. Sprinkle all over with purchased or homemade jerk seasoning. Grill over indirect heat on well-oiled grates until tender. This recipe is inspired by a Better Home and Garden recipe, with extra extra flaky crust(s) and we think it works with heirloom toms or cherry toms! Try it and tell us what you think! 1. Cut the butter into 1/2-in/12-mm cubes, and freeze them while you measure and mix the dry ingredients. 2. To make the dough in a food processor: Combine the flour, sugar, and salt in the processor and pulse three or four times to mix. Retrieve the butter cubes from the freezer, scatter them over the flour mixture, and pulse until the mixture forms pea-size clumps. Add the ice water, 1 tbsp at a time, and pulse to mix, adding just enough water for the dough to come together. To make the dough by hand: In a large bowl, whisk together flour, sugar, and salt. Retrieve the butter cubes from the freezer and distribute them evenly in the flour mixture, coating them with the flour mixture. Sink your fingers into the mixture and begin pinching the butter and flour together, making thin, floury disks of the butter. Continue working the mixture until the butter is broken down first into floury pea-sized beads and then into a loose mixture that resembles wet sand. Drizzle in 3 tbsp of the ice water and use your hand like a comb to mix in the liquid just until the dough holds together. If necessary, add additional water, 1 tbsp at a time, until the dough comes together in a crumbly mass. 3. Turn the dough out onto a clean, floured work surface or sheet of parchment paper. Gather the dough together in a mound, then knead it a few times to smooth it out. Divide it in half, and gently pat and press each half into a rough circle, about 1 in/2.5 cm thick. Lay wax or parchment paper in two pie pans and lay the dough in each. Wrap in plastic wrap or in the wax/parchment paper and put in freezer for 30 minutes. Remove the pie crusts from the freezer, and let stand at room temperature for 20 minutes. In a large skillet cook bacon until just done but not crisp. Transfer to paper towel. Reserve 1 Tbsp. bacon drippings in skillet; set aside. Make sure to save that leftover (if any) intoxicating fat for another time! On a lightly floured surface, stack the two piecrusts. Roll from center to edges to form a 12-inch circle. Wrap pastry around a rolling pin; unroll pastry into a 9-inch deep-dish pie plate. (Sides should be 2 to 2 1/2 inches deep). Ease pastry into pie plate, allowing edges to form a loose ruffled or scalloped effect. Gently press pastry into the bottom of pie plate. Sides will not lay flat against pie plate. Prick bottom of pastry. Line pastry with a double thickness of foil; bake 10 minutes. Remove foil; bake 5 minutes more. Remove, and reduce heat to 375 degrees F.
Sprinkle 1/2 cup of the cheese over the piecrust. Place half the bacon slices around the edge of the crust. Set aside. Cook onion in reserved bacon dripping over medium heat until tender. Drain drippings. Set aside. Halve 2 cups of the cherry tomatoes, leaving the remaining 2 cups whole. Place the halved and whole tomatoes in a large mixing bowl. Alternatively roast heirloom tomatoes (see directions in step 2 of this recipe) and slice to 1/2 inch segments and put in a large mixing bowl. Add olive oil, 2 Tbsp. of the basil, salt, and 1/4 tsp. of the pepper. Stir to combine. In a separate bowl beat together cream cheese, mayonnaise, egg yolk, cooked onion, lemon peel, and remaining Parmesan, basil, and pepper. Spoon cream cheese mixture into piecrust. Nestle the remaining bacon slices among the tomatoes, weaving bacon between tomatoes. Gently press tomatoes and bacon into the cream cheese mixture. Bake pie until cherry tomatoes just begin to brown or the crust browns and becomes flakey when you touch it, about 35 minutes. (Loosely cover pie with foil if edges brown too quickly, say 15 minutes.) Let stand 60 minutes. Top with leaf lettuce and serve with lemon wedges for a little bit of zest. This week and next at the farmers’ & artisans’ market we’re offering samples of the many different varieties of tomatoes! Pick your favorites, grab a box full, and try this mouth watering recipe that brings out their unique flavors! The two key steps in this recipe are to remove the water-filled seed pockets (which helps to deepen the flavor by removing water weight), and roasting (which further removes moisture). This recipe comes (slightly altered) from Chez Panisse in Berkeley. Cut out a cone at the stem end of the tomatoes to remove the core, and cut the tomatoes into quarters. If you have a grapefruit spoon or a strawberry topper, use it to remove about 50% of the water seed pockets. Toss with half the olive oil. Put the tomatoes in a baking dish and roast them, uncovered, for 30 minutes, stirring a couple of times to encourage even cooking. The tomatoes are cooked when the flesh is very soft and the skin separates easily from the flesh. Peel and slice the onion. Trim, wash, and dice the leek. Peel and dice the carrot. Cut the head of garlic in half horizontally. Heat the remaining olive oil in a stainless steel or other nonreactive pot (aluminum reacts with the acid in tomatoes and spoils the flavor). Add the vegetables and the garlic and cook the vegetables over medium heat until completely soft, about 10 minutes. Add the roasted tomatoes and the herbs. Simmer, stirring frequently to prevent scorching, until the flavors come together, for 30 to 45 minutes. Pass the sauce through a food mill and adjust the seasoning with salt and pepper. Makes about 1 quart.